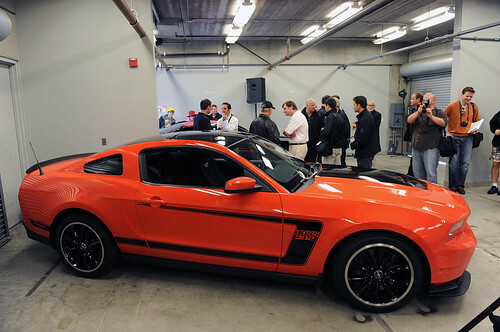 The Laguna Seca additionally receives front brake-cooling ducts-they're available as an accessory for the standard Boss 302. That was a LOT of cool info! THANKS! For those who have seen a Competition Orange in person, Please look at the following pictures, outdoors & indoors. I wonder if the indoor pictures were edited/enhanced for viewing enjoyment??? I'm trying to pull the trigger on an ORANGE. Please, which of these photos reveals closet to how Competition orange really looks in person? Indoor pics are more representative of what I saw when I looked at it. The weather wasn't great for the cruise, and it looks like the color is muted in those outdoor shots. I was hoping the indoor version was more representative of how the CO looks, more POP. I'd go into the 99-04 section and look at their pics of CO for more reference. That should help you make your decision. Or, for another idea, look at Auto Trader and see if anyone has one in that year in CO for sale nearby. Might just be enough for you to get a definitive idea of the color and if you want it. YOU SIR, are responsible for my color choice , after looking at the following car, Thanks for suggesting the 99-04 section. 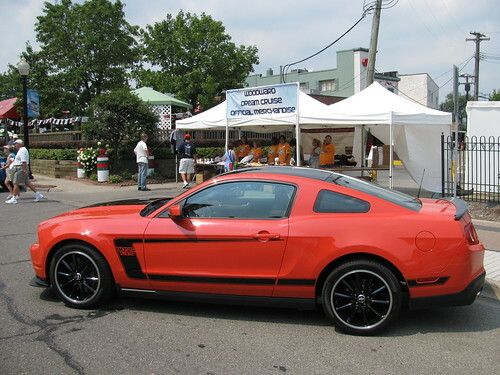 When I saw the car at the Woodward Dream Cruise, the orange actually looked a bit darker in red tones than what I recollect from the SN-95 Mustangs in that color. I think it is difficult to photograph because of lighting. 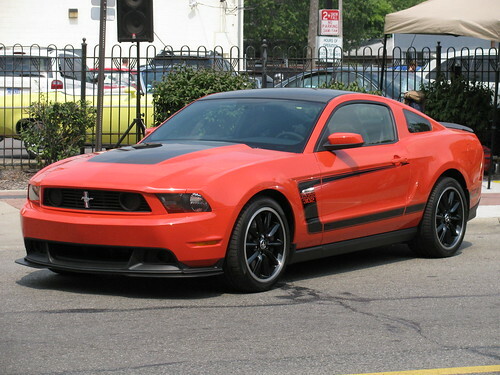 That said, when I saw it in person, I knew that competition orange would be the color for me. The contrasts with the black were very striking. PS - On the day of the Dream Cruise, it was gray because of the rain. Thus, looking at it up close, it looked more like your second photograph to me as compared to the comp orange Cobra photos from the other forum posted as reference. The third photograph looks similar to the way my camera captured the color, which looks a little more red. However, I sometimes have troubles with subtlety in color shades, so it could be me. Thanks Tony, I think I have about every picture posted on the net of the BOSS. I wanted the Orange but was not to happy with the way most pics make it look, Dull & Muted, the Pics of it in the garage makes me GIDDY inside, plus, my Wife is on board with Orange. Thank-U, welcome to the site, I'm new here also, I have found this place full of good info and great members. I also liked it better in person. I am looking forward to seeing it again. Hopefully they will have one in Detroit at the auto show in January. You think they might bring it to the EAIAS (Eastern Afghanistan International Auto Show)? 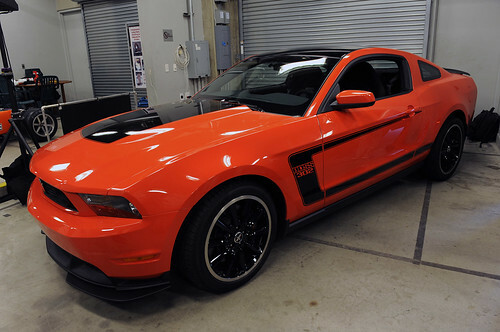 You should see one in Comp Orange with white stripes. Looks like a creamsicle, in a good way. I have been thinking about this. I remember the first time I saw a heritage GT in person and remember it looking like a piece of candy....similar effect? I like the Camaro's (paint scheme) of White with Orange stripes & Orange with White stripes, very stunning in person. I thought the CO looked great in person, you won't be disappointed. It seems a deeper color than the SN95 Orange. It's just gorgeous to me but I'm biased. The White on Orange probably does look pretty sweet.